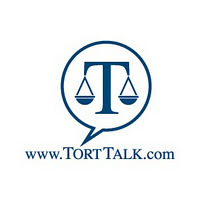 I have secured a date to put on the TORT TALK EXPO 2012 CLE seminar. The three credit hour seminar will take place on Thursday, May 3, 2012 at the Mohegan Sun Casino in Wilkes-Barre, Pennsylvania. 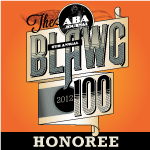 I will present a Civil Litigation Update/Auto Law Update for the first credit hour. I am also making arrangements for the second credit hour to consist of a presentation by a noted board certified radiologist who will take the audience through the significance of a variety of types of diagnostic studies commonly seen in personal injury matters. The third credit hour will be presided over by a prestigious panel of judges unlike one ever seen before in Northeastern Pennsylvania. Stay tuned for more details. 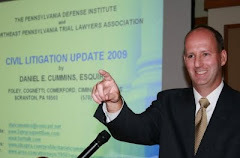 The seminar will be followed by a Cocktail Reception at which attendees from the legal industry, the insurance industry, and members of the state and federal judiciary from all around the Northeastern Pennsylvania region can mingle and digest the information learned.